Let's be honest....with your MTB, weight matters. From conception, the ELEVENSIX was optimized to be as light as possible without compromising performance or durability. Our design approach ensures use of the best materials in the right places to achieve that level of performance. The result is maximum performance, maximum durability and a superior product that's up to 200g lighter than the competition. Your ride, defined your way. When it comes to your bike and your riding style you have preferences. With our exclusive patent-pending Dual Overhead Valve design you have complete control. Modes for firm climbing, plush descending, aggressive trail riding, or fast and flowy pump/jump line trails can be easily set. 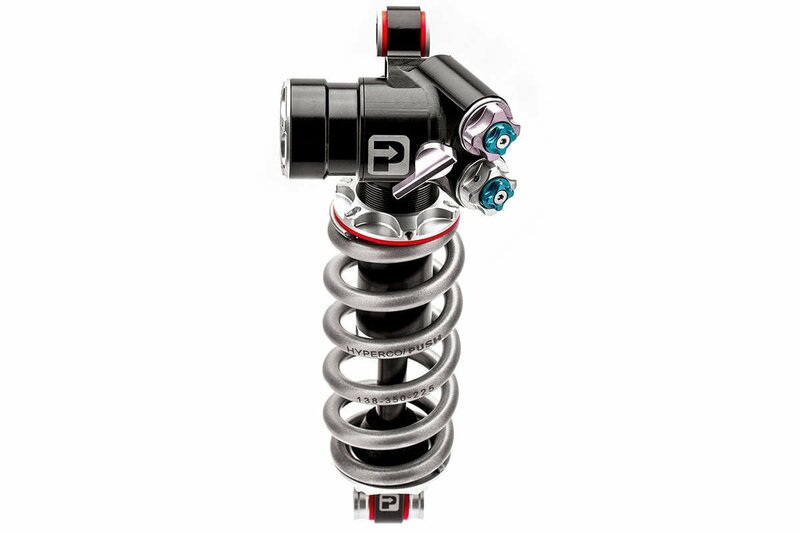 Featuring our easy to use tool-less external adjustments for both Low and High Speed Compression, each mode can be easily tailored to your exact ride quality. Once set, simply toggle between modes on-the-fly whether climbing, descending, or ripping fast and flowy singletrack. Leverage Rate? Anti-Squat? Eye-to-Eye? Trunnion? Metric? 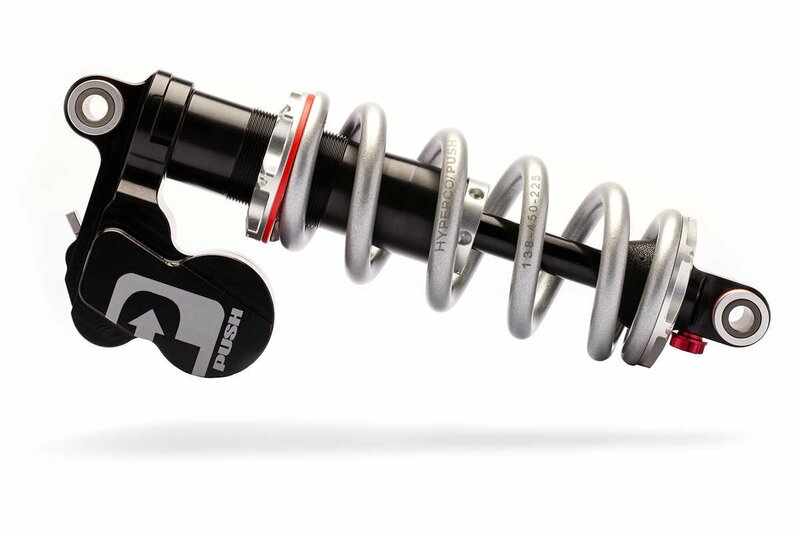 Trying to fit a new shock to your bike can be exhausting! What does it all mean? Am I getting the right tune? These are questions you're never going to have to ask when purchasing an ELEVENSIX. 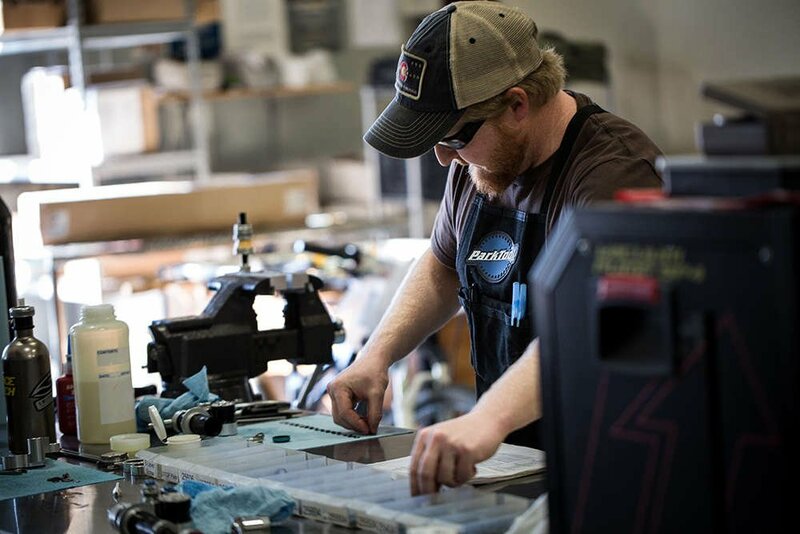 We have a team of riders, engineers, and machinists working behind the scenes to ensure that you get the perfect fit the first time without the headache of research. With every new ELEVENSIX fit, we start off by acquiring the actual bike. We then evaluate it's stock performance, measure linkage, shock, and mounting specifications before moving onto building prototypes. These prototypes are ridden, re-tuned, and evaluated all while documenting the exact recipe required to give you the perfect product. Lets be honest....with your MTB, weight matters. From conception the ELEVENSIX was optimized to be as light as possible without compromising performance, or durability. Our multi-material design approach places only the best properties of the best materials into the right places. This ensures maximum performance, maximum durability, and at a weight up to 200gr lighter than the competition.